I am completely in love with the moody brights trend this fall and yes I know the term 'moody bright' is an oxymoron but they really are just that. They a bright colors with a dark tone to them. Like a sunny with a dark sky approaching. These colors have a youthful charm with a mature attitude and sexiness. I hope you will be inspired by this newest board! 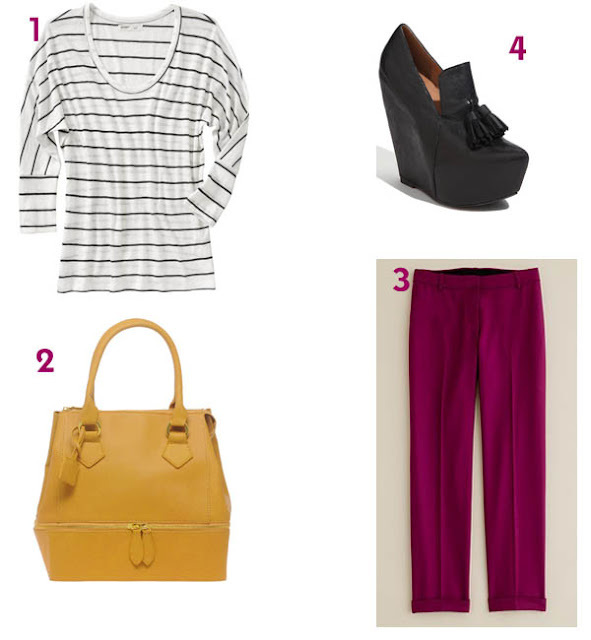 2 comments on "Fall 2011 Moody Brights and Stripes"